Ah, welcome to The Good News Journal, Lords and Ladies, Dames and Sirs, Queens and Kings – it is such a Pleasure to have You, Truly. In Fact, I Wish to take a moment to acknowledge My Friend ‘EcoHorizons’, and ex-Tend a warm thank You for the comment on My last Post. I’m feeling very Thankful today. I’m Thank Full You are here, that is First and Foremost this Friday. I’m Thank Full it is Thursday in My Microcosm and I am Writing the Free-Lance Friday Edition a day in advance, getting the Good News Journal Published Good and early. I am Thank Full for the Reader Ship of My audience, and especially for the likes and comments. I am Thank Full the last two Lucky Wednesday’s have been very Lucky for Views and Visits to My Blog, breaking all previous daily bests two weeks in a row. In February, I had more Views in a single month than any year previous to 2017. By the end of this month, I Will have bested all previous annual records, and it is only April. One of the Resolute-Sean’s I made this year was to Focus on promoting My Blog. Ironically, although I spent a great deal of time researching how to market My Blog to generate more traffic, I still haven’t really Focused on implementing any of those strategies. I got busy in My Microcosm and more Focused on moving than marketing, Truth be told. The only real downside is that I had planned on sharing My marketing strategies with You so that I could Show what was war King for Me and what wasn’t. I haven’t even been re-Tweeting My Posts on Twitter with hashtags, which is something I had been doing consistently. I have literally done less to market My Blog than usual and I am now only a couple of weeks away from breaking all previous annual records for both visitors and views. I’ve already broken My previous record for visitors, only views to best. There are only two things I have done differently this year that could be considered marketing strategies to increase traffic. The biggest difference, is the quantity and consistency of My Writing. I’ve already Published over 100,000 Words this year, and I have Posted much more consistently, almost daily. I believe this is the main reason for the dramatic increase in traffic. It’s really the only explanation with the exception of Pinterest. I didn’t have a Pinterest account and My marketing research suggested it was an essential component in generating more traffic. So I set one up. Seriously, found the learning curve with Pinterest to be a little complex but I took the time to understand the basics. I recognize the potential and it’s truly massive, but it also takes concentrated effort. It’s a time investment if One Wishes to do it right, though I believe it has the potential to reap massive rewards, I just haven’t had the time and energy to really get into it. I kind of Writ off My Pinterest account until I could dedicate more time to it, then I started noticing that People were linking to My Blog from Pinterest. In My first few days, My ‘pins’ were creating some 7 to 15 impressions per day. When I opened My Pinterest a couple of weeks later, I was generating around 800 impressions a day. All I do is ‘Pin’ the photos I include in Blog Posts to Pinterest and My account seems to grow. I generate 20K impressions a month on Pinterest now and I’m spending zero time managing My account. Long story short, I recommend Pinterest if You are looking to generate more traffic to a website or Blog. Pinterest has surpassed Twitter for linking to My Blog and I have 5,000 followers on Twitter and only 370 on Pinterest. So, this is another reason I am feeling very Thank Full to be Writing this Free-Lance Friday Edition this Thursday. I still like to Show the Ominous data from 2010 and 2011 where I had thousands of Views, yet suspiciously, not a single visitor. The first Visitors Show up in My stats on or about the 12th of December, 2012… (Twilight Zone music is heard faintly in the background). If I remember, I’m going to change the video on My Home Page (Paige) to match the Song. Rest in Peace, Michael Hutchence. Words really are Weapons, and they can be Sharper than knives; Words can Cut deep and take longer to Heal. I Posted a couple of other Gems today, too. 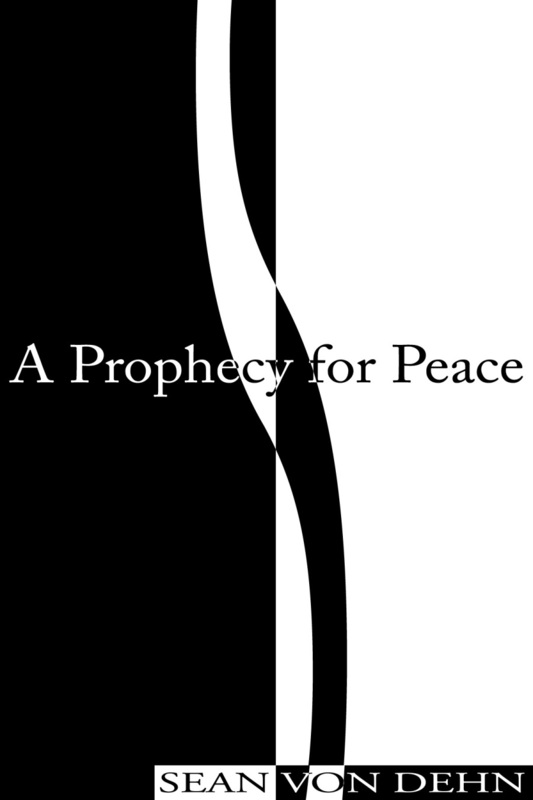 I Posted the city determinations, and a Free E-Book Version of My Book, A Prophecy for Peace. The Formatting of the PDF is not perfect, but I can Live with it. The E-Pub format was really Good, I was very pleased with it. I’ve wanted to make this available on My Blog for a long time, so it felt really Good to finally get that done. I have the E-Pub version on My laptop but it’s not compatible with WordPress. If anyone is interested in the E-Pub version, contact Me and I can Send via e-mail. I may consider a link to Dropbox, too. I was also Happy to Post the city determinations. Soon I Will be responding to the city determinations, and I Wish to Give every One the opportunity to read them before I do. I’m curious to know if any One might anticipate how I Will respond, or what My thoughts might be. I also Wish to Give My audience an opportunity to see just how much work is involved in something like this, and why I was pleased and Grateful to take a break from the whole thing for a couple of weeks. Just as I had said that Deanna Vecchiarelli should have responded to each of the complaints in My Letter in turn as Housing Services has now done, My response should similarly address each of the determinations in turn. There is a significant amount of information to respond to, and a task I am not particularly looking forward to. I also haven’t decided how I Will respond yet. I was Gifted another 50 sheets of beautiful parchment for calligraphy, so that could be a Sign. I Will be more inspired to Write Letters by Hand when I am moved into My new apartment, but that has happened yet. I am hoping I Will hear something by the end of this Fabulous Friday (hint, hint, city of Ottawa). I also have Con-Stable Jenkyn to contend with. Needless to say, he did not respond to My Letter of Complaint so I’ll have more Writing to do in that regard, too. What I Will say, is I am thing King My reply to the city determinations Will be a surprise for every One. I also have not shared the city determinations with any One in My Microcosm because I do not Wish to have any One influence My response – city determinations were first made Public here. I am also thing King I Will approach this from an angle very few People may even consider. My Friends were surprised to hear the first thought I had in response to the city’s determination. Although they thought it was a brilliant Idea, they also had all kinds of thoughts about what I should do with that Idea and how I should Present the information. I started to get the sense that some of My Friends Wish to use My complaint with the city to forward their own political agenda. As such, I essentially ‘Forbid’ My Friends from discussing the Matter with Me until I have had an opportunity to respond without interference. I can Promise You that things Will be heating up. The next time I pull out My Pen to Write, it Will be a Free Lance, a S-Word unleashed. Previous Volume LVIII: Idiocracy Politics; Dumb and Dumber, Trudeau or Trump?